By: Shawn C Baker on 11/01/2013. 2012’s The Strange Talent of Luther Strode was one of my favorite new mini series in a year filled with fantastic mini series brought to the light of day by Robert Kirkman and the good people at Image Comics. 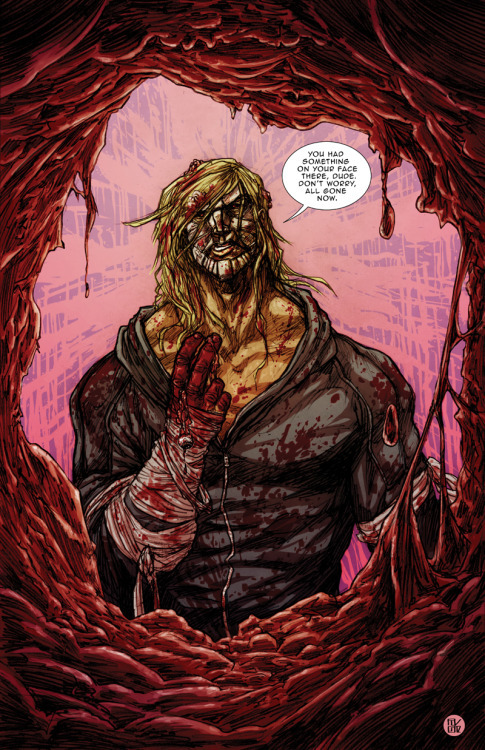 Last month Luther Strode returned in a new series that picks up five years after the events of the last book and sees Mr. Strode in a very bloody state of affairs. It is just as awesome and violent and bloody and awesome and violent as the last series and thus far, after only two issues, promises some juicy revelations into the world of Luther Strode. Did I mention the violence? I don’t normally get hung up on violence – too much is usually not a good thing to me. But here, as an integral part of the overall fabric of the mythos, well, it’s just awesome. “The Strange Talent of Luther Strode is about a skinny, bullied kid who orders an old time bodybuilding course from a comic book, and finds out that it works. What he doesn’t know that is that the book is actually a tryout for an ancient murder cult, and Luther’s new strength and talent comes with certain strings attached. Now, if that’s not just plain awesome I don’t know what is. There is something absolutely terrifying and fascinating about Jordan’s tempering of the nostalgic element of those old time body building courses you’d see offered up in the back pages of yesterday’s comics with something as dark as a ‘murder cult’ and the idea of ‘becoming a slasher’, as if the character in question’s will is simply left out of the equation the moment he looks to this mysterious third party for help. And that’s it, the idea that you send away for something and you don’t really know where or who it comes from. In The Strange Talent series Luther is a skinny kid who is simply tired of being picked on, of having the proverbial sand kicked in his face. His need and desire then open him up to this mysterious third party who prey on people like him. They grant him his boon but it comes with a price. As Luther begins to develop muscles and skills that turn the tables on the bullies at school he also finds there is a frightening side effect that comes with it. He also finds that his new “talent” has brought him some unwelcome attention from… well, from others just like him, or perhaps more accurately others just like how he will become. 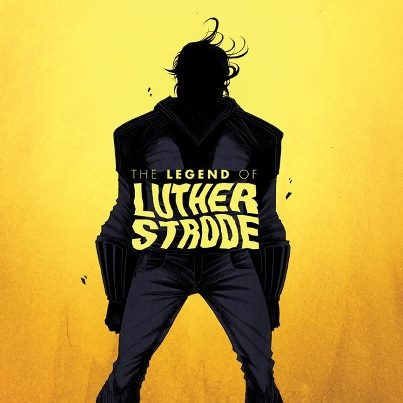 The Legend of Luther Strode continues the story. I don’t want to give too much more away about the first series because it’s available in trade and well worth the price. Suffice it to say at the start of the new book Luther is a near unstoppable force of violence. It appears he’s using it for good, but I’m thinking with four issues to go we haven’t been given even half of the story of Luther’s last five years yet and whether he’s using his talent for good or not, the kind of things Luther has learned to do to the human body and those who fall beneath his malice could have nothing but devastating effects to the human psyche. The Legend of Luther Strode is written by Justin Jordan with art by the wonderfully unique and violently awesome combination of Tradd Moore and Felipe Sobreiro. Each issue also features a host of back-up and supplemental material, which certifies it’s done by people who LOVE comics for others who LOVE them too! * Props to Bleeding Cool for posting an excerpt of the author’s original post on thevhive.com for leading me to this quote last year.